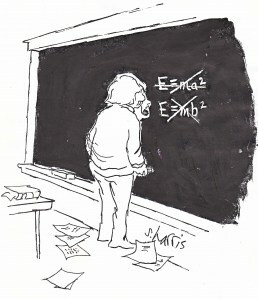 This month’s issue of Physics World features a review of mine, of the book How It Ends by astronomer Chris Impey. I’m always chuffed to be published in Physics World; as the flagship publication of the Institute of Physics it is a very good science magazine indeed, with well-informed commentary and articles of very high level by prominent researchers. PW also take their book reviews seriously; I notice both the front cover and editorial of this issue draw attention to the reviews. As for the book: I enjoyed How It Ends greatly, it’s a fabulous read for any scientist or anyone with even a marginal interest in science. 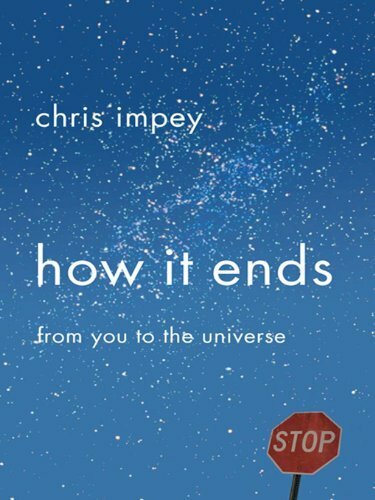 In a nutshell, Impey, a noted astronomer and astrobiologist, considers the ultimate fate of all things, from the future of the planet and all living things to the fate of the sun, the galaxies and the entire universe. As you can imagine, the book traverses a great many disciplines, from biology, biochemistry and ecology to geophysics, astrophysics and cosmology. However, it is written in a very lighthearted and accessible style that is extremely readable. PW magazine is members-only but you can read my review here….or better still go and buy the book. Actually, the skill with which Impey handles his interdisciplinary tale is no coinicidence as he is associated with a well-known research group at Arizona State University that specializes in astrobiology, a discipline that combines the very different disciplines of astrophysics and biology in order to investigate the conditions necessary for biological life to form. In fact, members of the Arizona group had some input into the major success in astrobiology we all just heard about- the discovery of lifeforms that can thrive on arsenic (as opposed to phosphorous), an important advance that broadens the scope for the possibility of life existing elsewhere. So go and buy the book. I would be very grateful to get your thoughts on the idea.